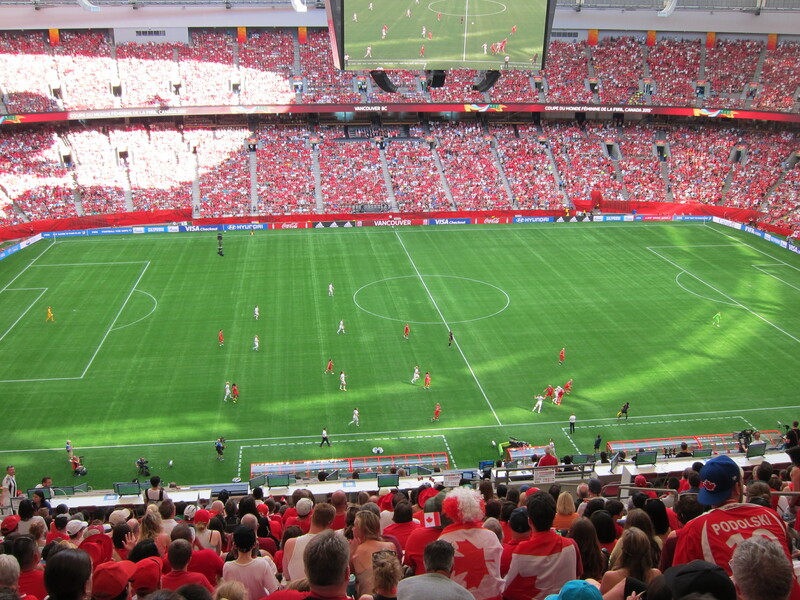 I bought last minute tickets to the FIFA Women’s World Cup game that happened yesterday. Literally last minute, as we closed the Craigslist deal an hour before the game. We still had to print out tickets and get there, so we ended up being late for two minutes or so. We had planned on going, but we wanted to wait till someone was desperate to sell them at a lower price. We got center seats in the end for $100 each, which wasn’t the cheapest, but given the prices we were seeing yesterday, it was pretty good. Canada was off to a rough start. Englad was aggressive and managed to get two goals in within the first 15 minutes. It was plain to see that the team was a little demoralized, and the crowd was also getting unhappy. Nonetheless, Christine Sinclaire managed to get a goal in at around the 42nd minute. The team livened up again, and smarter plays were made. Sadly, it was the only goal we got and it wasn’t enough to tie us or make us win. Honestly, I’m still very proud of the team. We came very far— just one game away from the finals 😦 The team did us proud. I’m super happy when I see young girls being inspired by the women’s team, and jumping up and down, trying to get a team member to look their way. The team stayed around after the game, and were very accommodating to fans! We got to snap a few pictures of them, and they even agreed to do selfies! One thing I didn’t like was the weather. Sure, there were blue skies and it was summer, but the heat was crazy! On the bus, we sat across from a guy who was literally towel drying himself (not just his face. Anywhere he could reach that could pass as being proper in public) on the bus every 5 minutes, and another guy just sat there dripping sweat. Wearing red also didn’t help cool me down. Anyone going to the finals? Anyone got free tickets? I’m broke. But I want to go. Quite sad Canada won’t be fighting for the cup, but hey, we got far. Keep on trooping Canada’s women’s team 🙂 Keep inspiring! THREE DOGS IN MY LIFE!!! I watched it (even the first 2 minutes) from the comfort of my living room, but it was still pretty hot. I’m ever so slightly jealous of you managing to get tickets. Good for you! I was in a dilemma not knowing who to cheer for. 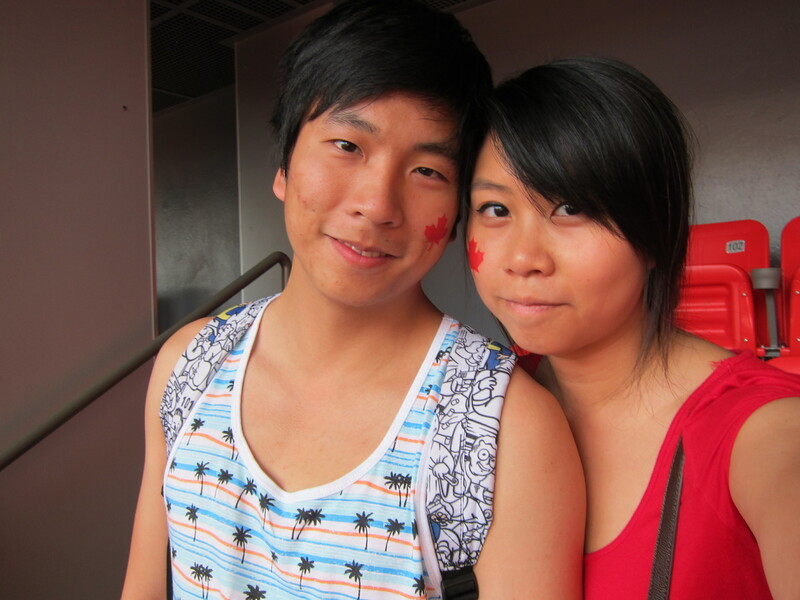 In the end I opted for Canada – the country we chose to live in and that accepted us. It was a good game with pretty evenly matched teams I thought. 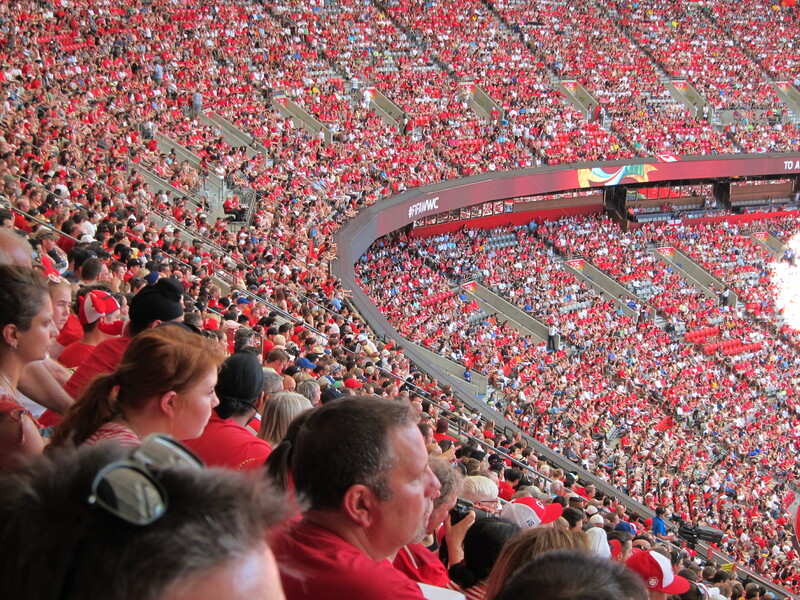 I have to say I thought Canada lost it rather than England winning it though. 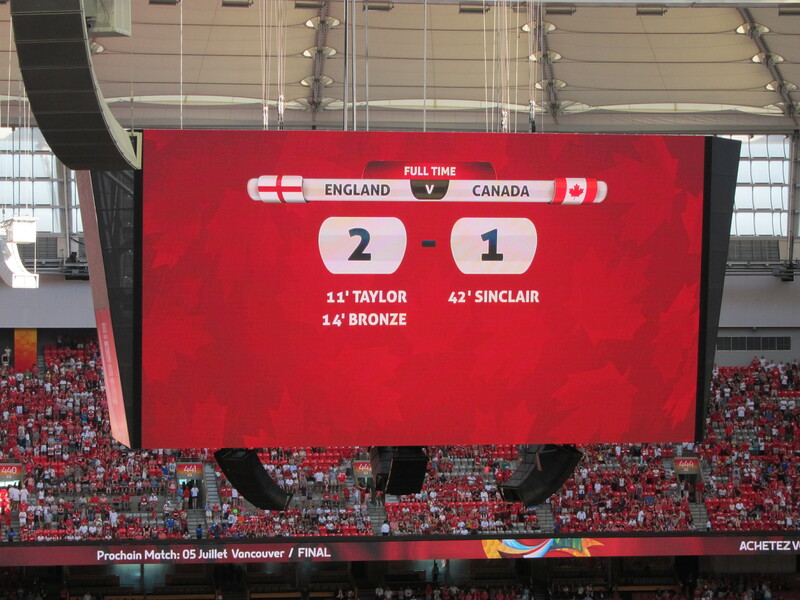 The 2 England goals were decent, but unnecessarily conceded, and Sinclair should have had the free kick. I agree though that there’s been good positive spin in the advertising to encourage girls to see positive role models. There was still a bit of shoving and the occasional “dive” though. Not quite the high degree of fair play the captains promised, but pretty good given the level of game.and what’s at stake. It was interesting to hear that one of the England players had previously played for the women’s Whitecaps team (I never knew there was one! ), and that Scott of the Canadian team was in a UK league team – similarly unknown to me. Let’s hope this FIFA is the one that helps women’s footie get a bit more air time generally. Yeah, I agree, on several occasions Canada could’ve come back. Not sure if it was because the team was off to such a bad start— I mean, man, 2 goals within the 15 mins? That’s tough. Enough to make anyone lose their confidence. Yeah, diving… thought it would’ve been more professional, but I guess it sadly comes with the sport. It’s pretty advantageous when it works, but so cheap. I also didn’t know about the Women’s Whitecaps team until a few months ago! I’m glad that women’s soccer is getting more coverage, and I think bringing it to Canada is exposing it to a lot more people.